It is one thing to speak with clarity and be heard over distance (or perhaps even time) but it is another to say a lot and say it fast. The goal of Telematics is to be coherent and robust, economical and quick; very, very quick.. Our thoughts, already expressed as serial icons or codes, are now to be compressed into a form that is both necessary and sufficient for the purpose. 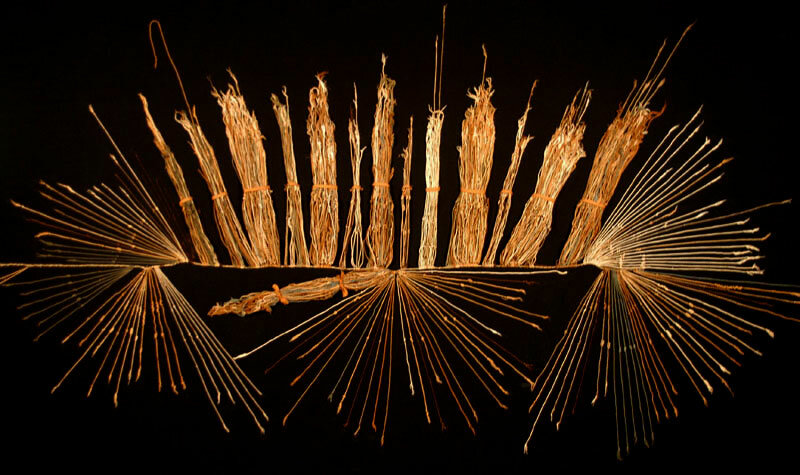 Lacking a written language and acknowledging the frailty of memory the ancient Peruvians developed the Quipos, delicate arrays of twisted and knotted threads encoding vital communal information. Marconi abbreviated standard business procedures to save bandwidth and Mawson, who established the first radio communication from Antarctica compressed the limited range of explorer narratives into a code-book, R-776 meaning I have grown a beard for example. The compression of meaning and emotion is re-circulating today in the form of emoticons, happiness a single condition reduced to a smiling PacMan.